Now the father of two children, Taiwanese singer and actor, Wu Chun (吳尊), devotes much of his time towards family. His three-year-old daughter, Nei Nei, and younger son are the sweetest burdens in life after the saddening death of his mother years ago. 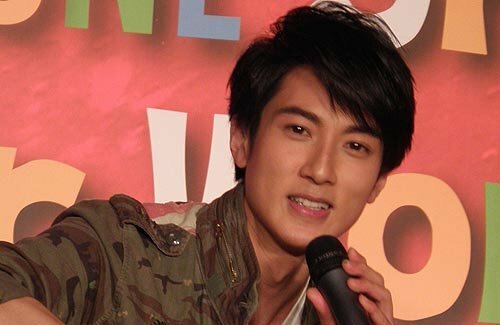 Wu Chun admitted it is difficult to juggle back and forth between his family and career, but it is worth it doing what he loves. Wu Chun earlier brought Nei Nei along with him to witness the process of a magazine photo shoot. Knowing that her father is busy with work, Nei Nei was well-behaved and remained quiet the entire time. Occasionally, she acted like a little fan and snapped photos of her father with a cellphone. Do you know what else is difficult, Wu Chun? Always telling the truth to your fans. Wah, you sound like a scorned lover.